The cat is so, so very patient. 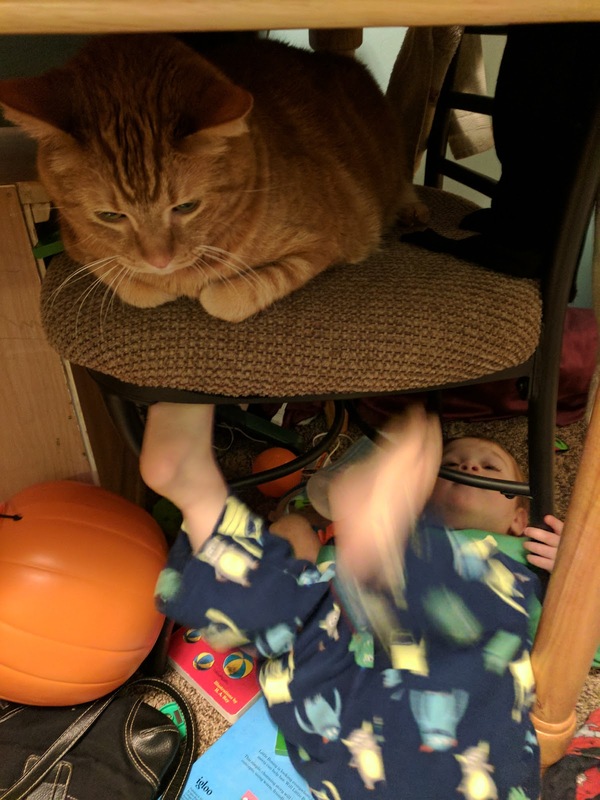 That boy is kicking him under the chair and screaming his name. How that cat doesn't run and hide more often is beyond me.